There is something about the alleged assassin, Gavrilo Princip, that is still bothering me and I do not know why exactly. When thinking about something like that, which led me with my research to this point, it is my curiousity that is posing my biggest question, after all learned about the history of single most important event of 1914, it was still not answered : was Gavrilo possibly Jewish? Was he as well one of crypto-Jews that seem to be the usual suspects in such hoaxes as this alleged assassin of Franz Ferdinand? Et tu, Gavrilus? Were his companions, brothers-in-arms, any different? Are we looking at a sinister pattern here? As I was re-searching for all possible clues or evidence that would help me make such suggestion and firmly stand behind it, I discovered yet another subject that was not tought in schools and it shocked me to learn about it. All of you, who don’t mind learning some history from a new angle, will find this essay interesting enough to see how such proverbial saying as »history is written by the winners« is overleaping with reality. This time, with no philosophical dilemma about such (proverb). It is noted as : »Chaotic scene on the streets of Sarajevo after Ferdinand’s murder«. And is most surely is chaotic scenery that we are looking at, but then at the source they lead into this picture with the official story of alleged planning of Archduke’s assassination by Dimitrijević as Intelligence connection to the plot. Below the picture at the source site is just another part of the official narrative further told, so one might get the feeling that this is the scenery just after the alleged assassination. Surely, you remember that hand grenades were involved, so you do not wonder when you see the picture insinuating chaos afterwards. Noted as : »A mass of people gathered to see what happened. Nobody could have even dreamed about, that they just witnessed an event, that would make WW I happen«. Noted as: »The vehicle, in which Ferdinand was, after the assassination took place«. That makes two of these picture directly put forward as »proof« of devastation made by hand-grenade while attempt was made to kill Archduke. And that makes it a disgraceful lie as these pictures are not directly connected to the Archduke’s murder. Luckily for me, a commenter left a comment, warning the source’s author about misdirection when publishing incorrectly noted pictures within an article, but with no change to the article made after it was made clear such pictures were incorrectly asserting another reality. As it is a fact, these pictures were made shortly afterward the alleged assassination of Archduke, some of them during the same day of 28th June 1914, some on the following day of 29th June 1914. However, the mob is not looking at the devastation made by the hand-granade, they are looking at the devastation made by some of them standing there. As much as ou may be surprised or confused by my previous sentence, let me repeat in other words : these above pictures were made shortly after the news about Archduke’s death was released to the public, which then organized the pogroms against all Serbian population, nation-wide. Not even in my wildest dreams could I’ve imagined this, it got me by complete surprise. This time, Wickedpedia seems to be holding quite substantial data about it at its entry here, hosting even some pictures not to be found anywhere else, about the anti-Serbs riots in Sarajevo after MSM published news about Archduke’s death by assasssination. Not to get de-railed while searching for the answer about Gavrilo and his companions, let me return to the subject and look firstly at some members of assassins’ group. What is interesting to add here is that following an amnesty of political prisoners by Charles I of Austria done in 1917, one of alleged conspirators involved in the Sarajevo assassination was released from imprisonment, namely Vladimir (Vaso) Ćorović. »First demonstrations were organized in Zagreb on the very same day of assassination.«. »Both criminals are fanatic Serbs, sons of that accursed tribe that is planting enmity, manslaughter and murder wherever they roam, and while grasping for power villainly destroying everything in front of them, they arrogantly think Croatian nation will be intimidated with it.«. The author Valdimir Ćorović himself is a questionable persona, as he was pardoned by Franz Ferdinand’s successor, Charles I of Austria in 1917 after serving »only« 3 years out of his 20 year sentence. As we can learn about the Wickedpedia about Vladimir Ćorović, he spent many years of his career abroad staying at Vienna, Munich, Bologna and Paris before the assassination, where he might have been engaged as an agent. Returning from imprisonment in 1917, he had a remarkable academic career becoming one of more prolific Serbian authors with more than 1.000 published pieces. If anything was agent-like in his life though, it was a moment of his alleged death – he died in a plane crash on 12th April 1941 somewhere in Greece, shot down from the sky for his open anti-Nazi activities prior to the WW II. Very disturbing find is as well some Wickedpedia text on yet another member of the Black Hand secret society, namely Vladimir Gaćinović. After Gaćinović finished gymnasium in the city of Mostar, he went to study abroad, staying in Geneve and Lozane, where he was in the company of Russian revolutionaries who emigrated from Russia after a failed 1905 revolutions. Gaćinović was a personal friend of many Russian revolutionaries, such as Viktor Serge (born as Victor Lvovich Kibalchich), Mark Natanson, Julius Martov and Leon Trotsky (born as Lev Davidovich Bronstein). After 1910 he went to Vienna University until 1912, when he joined troops fighting in the First Balcan War where he fought as a volunteer within Montenegro army. It is well-known that Gaćinović was in contact with Gavrilo Princip and Danilo Ilić, who later became alleged assassins. As the story goes, Gaćinović was allegedly poisoned with arsenic in 1917 while visiting in Fribourg, Switzerland, aged 27 years at the time of his death. Another Black Hand society member was Nedeljko Čabrinović as we can learn at his Wickedpedia entry here, he allegedly died aged 21 years old in the Terezín, then in Austro-Hungarian Empire. You may argue if there exists a less penciled facial picture of Trifko Grabež that I could bring in here, but unfortunately, there is none better to be found on the web, which is by itself very strange. He was also a member of the Black Hand society, with his early life story at Wickedpedia written – full of holes. He was allegedly expelled from high school for striking a teacher, left home and went to Belgrade, where he continued his education? Staying where exactly, who was paying for his expenses in his teens? Falling under influence of other nationalists, says Wickedpedia, he joined the Black Hand society. Grabež looks completely different than in his solo portrait picture with exception to mustache noticed on his face, Čabrinović looks too old to be seen as a 21-year old man, with Gavrilo resembling at most to his alleged portrait picture we’re used to recognize as de-picturing him. »Gavrilo Princip was said to be part of a world-wide plot by the Freemasons. Erich von Ludendorff, the Chief of the German Staff, called Princip a “Jew” and alleged that he was part of a Freemason plot in collusion with Austrian, German, and Hungarian Freemasons. Julius Streicher’s official Nazi Party periodical Volkischer Beobachter in a January 8, 1936 article stated that Princip was “a Jew and a Freemason”. He didn’t look Serbian or Slavic yet he claimed to be a Yugoslav nationalist who wanted to unite all southern Slavs. The point is that he was just an excuse for what was already being planned. War was inevitable when Austria-Hungary annexed Bosnia. »In 1923, in the lead-up to the Putsch, Hitler enlisted the help of General Ludendorff to try to convince the Bavarian leaders to join him in moving against Berlin. Do you recognize that name? Ludendorff was supposed to have been running Germany in early 1918, remember? He is the one who after WW1 popularized the Stab-in-the-Back theory that Hitler’s is supposed to have co-opted. This was the idea that Marxists had caused the fall of Germany in that year, which we now know was all misdirection away from the Industrialists. But that begs this question: why would General Ludendorff ally himself a few years later to Hitler, a 33-year-old ex-lance corporal who was now the head of a Workers’ Party? After their failure to drive around the Marxists in 1919, these Workers’ Parties had suffered defeat and been forced to join the fake Marxists. That’s right: the real Workers’ Parties or Unions in the early years of the Weimar Republic were not rightist pre-Nazi organizations, they were center-left organizations that had to ally themselves to the Socialist structure of the new government in order to prosper at all. So why would Ludendorff ally himself to those who had stabbed him in the back? The last person Ludendorff should have been consulting with was Hitler, unless. . . .
Mathis mentioned Ludendorff 18 times in above referenced essay, which I would strongly encourage everybody coming here to read and learn about it themselves. All I would like to add to Ludendorff’s statement about Gavrilo Princip being a Jew – it takes one to know one. This connection suggests already five people in our story of Sarajevo assassination connected to TPTB, all of them obviously being agents, each of their own kind, placed (t)here to perpetrate their sinister plans. »In the past I found it very difficult to find any good or definitive sources on Gavrilo Princip being either a Jew or a Freemason. However, I did eventually find in William G. Simpson’s »Which Way Western Man?« something worth noting. I will reproduce later in this post the section on World War One from Chapter 19, Part C (a large part focusing on the Jews) as well as the footnotes. I didn’t look through it, but I do know that Poncins actually makes a few mistakes. The trouble is, he’s talking about an entirely different book. We can’t be sure that Poncins was as accurate in this cited book as he is in the one Oliver refers to. Furthermore, I think Oliver does often exaggerate on various things, but that’s not important here. The pros and cons of how the First World War got started it is manifestly impossible to discuss here in any detail. But it may be categorically stated that among competent historians who have had access to the latest evidence, the idea that Germany was guilty of wanting the war, planning for it or starting it, is completely discredited.232 Professor Sidney B. Fay, head of the Department of History at Smith College and later one of Roosevelt’s “Court Historians,” attaches critical importance to the assassination of Archduke Ferdinand of Austria, with which the war began. Without that, war might have been completely avoided. But lest this seem too cloak-and-daggerish, and too full of mere suggestion and suspicion, let me now proceed to set down known facts. Professor Fay reviews the shorthand record of the trial of the young assassins in November 1914, which he declared “a fascinating human document” and pronounced “full and fair.” 241 One of them testified that “the Freemasons had already condemned to death the heir to the throne two years ago,” and again, “In Freemasonry it is permitted to kill.” 242 He describes the “Black Hand” terrorist organization for achieving the freedom of Serbia. Machinery was already installed by which Freemasons, plotting in Belgrade, under secret orders from unidentified Masons yet higher up in Vienna (or for that matter, in Paris or St. Petersburg) could step in and use the Serbian feud with Austria to start a world war for ends of their own. He recounts the formation of the conspiracy. But the plot was actually hatched in France, at Toulouse, where three of the terrorists met in January 1914. Here one of them “came into direct touch with various Russian revolutionists, including Trotsky.” 243 The purpose in going to France was—it would seem manifest—to meet the men “higher up” who would decide who was to be killed, and when and where, and who would provide the necessary money and arms. In any case, the war got started and ran its course. By 1916, it seemed to have reached a stalemate. Both sides were desperate. Germany’s submarines had brought Britain to the point where her people were only two weeks ahead of their food supply. And the Allied encirclement of the Central Powers had forced them to fight on more fronts than they could effectively man. Out of the common desperation, the Jews were able to achieve two of their chief objectives. In what follows, it must be remembered that, as always, the Jews in all countries communicated and cooperated freely across all national boundaries. Few gentiles were aware that while Paul Warburg (with his Kuhn, Loeb & Co.) was dominating the situation here, his blood brother Max had the Kaiser under his thumb in Germany. Sidney B. Fay—The Origins of the World War, Vol. II, p. 53. Leon de Poncins—Secret Powers Behind Revolution, Boswell, 1929, pp. 78-80, where he quotes a long passage from General Ludendorf’s Kriegshetze Und Volkermordern, Munchen, 1928, p. 170, to the effect that a high-placed Mason, having learned in 1911 of the plot to assassinate the Archduke and precipitate a world war, had gone to the head of the Order in Germany in an effort to release forces to frustrate it. But he found himself up against a stone wall. That was in 1903. Douglas Reed, long a highly distinguished special correspondent to various large London newspapers and the author of a number of best-selling books on the fast-shaping situation in Europe prior to the Second World War, in his Somewhere South Of Suez, pronounced the passage quoted “foreknowledge of the highest order” (p. 311). The obvious question is whether it could have been mere prescience, or whether the prophecy must not have depended upon firsthand knowledge both of some secret plan and of a hidden power to bring the plan to fulfillment. Before being made Lord Melchett, he was Sir Alfred Mond. He was the First Commissioner for Public Works in the Lloyd George Ministry, and as head of the Mond Chemical Works (afterwards converted into Imperial Chemical Industries), the most powerful chemical industry in England, he dominated the chemical resources of the British Empire. In short, he was in a position of very great public responsibility and power. See Robert L. Owen—The Russian Imperial Conspiracy, 1892-1914, A.&G. Boni, 1927. At the end of May, 1914, Colonel Edward Mandel House, roving diplomat for President Wilson, wrote him from Berlin: “Whenever England consents, France and Russia will close in on Germany and Austria.” Intimate Papers Of Colonel House, Houghton Mifflin, 1926, Vol. I, p. 249. Vol. II, Sept. 15, 1912, pp. 787-8. Published at 8 Avenue Portalis, Paris. Quoted by Sidney B. Fay, op. cit., Vol. II, pp. 110- 111, footnote 103. Quoted also by de Poncins, op. cit., p. 72. See Leon de Poncins—Secret Powers Behind Revolution, op. cit., p. 75, where he cites p. 46 of the Pharos shorthand report of the assassins’ trial. The eminent scholar Prof. Revilo P. Oliver, of the University of Illinois, has witnessed to de Poncin’s reliability. See the latter’s Christianity and the Survival of the West, Sterling Enterprises, Sterling, Va., 1973, p. 25. Sidney B. Fay, op. cit., Vol. II, p. 3. Ibid., Vol. II, pp. 55-6. In this connection, it is to be recalled that “at the Masonic congress of Wilhelmsbad . . . it was decided to remove the headquarters of illuminized Freemasonry to Frankfurt, which incidentally was the stronghold of Jewish finance, controlled at this date by such leading members of the race as Rothschild, Oppenheimer, Wertheimer, Schuster, Speyer, Stern and others. At this head lodge of Frankfurt, the gigantic plan of world revolution was carried forward, and it was there that, at a large masonic congress in 1786, two French Freemasons afterwards declared the deaths of Louis XVI [King of France at the time of the Revolution] and Gustavus III of Sweden were definitely decreed.” See Nesta H. Webster—World Revolution, 1921, pp. 19-20 (1971 edition, pp. 32-3). Sidney B. Fay, op. cit., Vol II, p. 99. As reported in The Jewish World, January 5, 1922, Henry Ford recalled the impression made upon his mind by the talk of “two very prominent Jews” who were on the “Peace Ship” with him when it was crossing the Atlantic in 1915. “We had not been to sea 200 miles before these Jews began telling me about the power of the Jewish race, how they controlled the world through their control of gold, and that the Jew and no one but the Jew could stop the war. As much as it can be understood learning about all written in above mentioned books and references, it cannot be said beyond reasonable doubt that Gavrilo Princip was actually a (crypto) Jew. 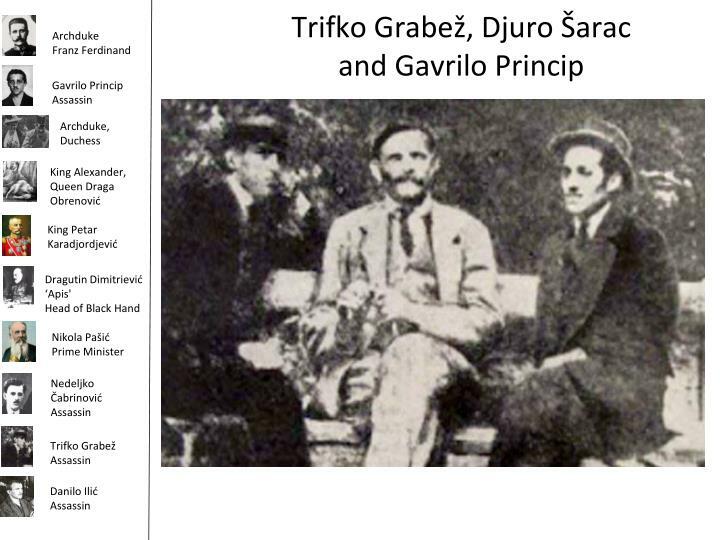 Further, what can be learned when trying to search for any biography about Gavrilo Princip, the book that devoted most pages about Gavrilo’s ancestry and family (while “confirming” he was of Serbian nationality) was written by Vladimir Dedijer, titled “The Road to Sarajevo“. However, there is a big question of authenticity concerning that particular chapter devoted to Princip in his book, as my suggestion is that Vladimir Dedijer was an agent himself. Mostly under disguise of being a journalist he was sent by a former MSM outlet Politika newspaper to all major war-mongering countries of the era – Poland, Denmark, Norway (1935), England (1935-1936), and Spain (1936). Collaborating with Comunists and later on Partisans. As we can learn at his Wickedpedia entry, he taught at University of Belgrade and was visiting professor of history at Michigan, Harvard, Stanford, Princeton, Yale, Paris (Sorbonne), Manchester and Stockholm Universities. . I’m sure many of you recognize some of the mentioned universities as spook nests, mentioned several times in Mathis’ essays, which again makes Vladimir Dedijer as compromised source to depend on while searching for Gavrilo Princip’s genealogy. [i] As we can learn at that link at Wickedpedia: »The St. Bartholomew’s Day massacre (French: Massacre de la Saint-Barthélemy) in 1572 was a targeted group of assassinations and a wave of Catholic mob violence, directed against the Huguenots (French Calvinist Protestants) during the French Wars of Religion. Traditionally believed to have been instigated by Catherine de’ Medici, the mother of King Charles IX, the massacre took place five days after the wedding of the king’s sister Margaret to the Protestant Henry III of Navarre (the future Henry IV of France). This marriage was an occasion for which many of the most wealthy and prominent Huguenots had gathered in largely Catholic Paris.”. Vexman, for some reason when I click on ‘Like’, nothing happens, even after disabling adblocker and privacy badger. So anyways, a big LIKE from me. Well, you can call it a courtesy of WordPress 🙂 Thank you in any case. Sophia and Franz are smiling while lying in the casket, aware that they are fooling us all. The car´s placate is “A III 118”, which stands for Armistice 11(day) 11(nov) 18 (year), so they signal right there that WW1 was planned, which means Franz Ferdinand himself, an agent and crypto-jew of Austrian Habsburg family, wanted Serbia to be run over by foreign militaries. 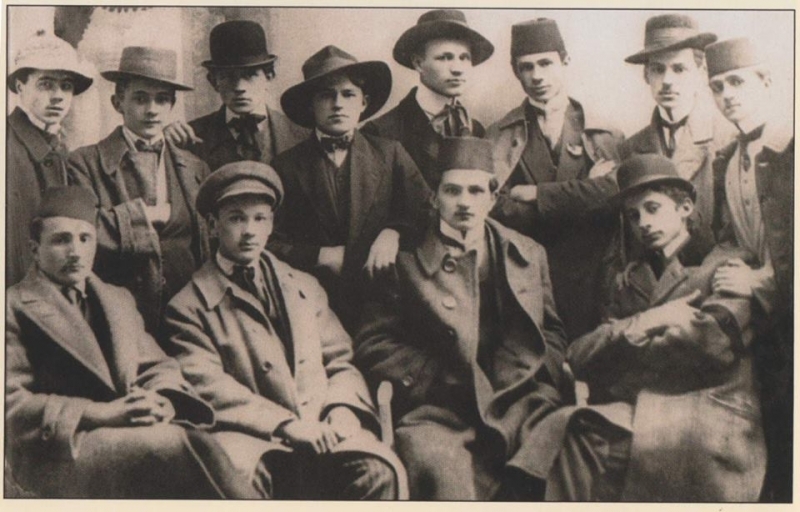 Gavrilo princip and Ferdinand were probably relatives and planned it together, Gavrilo met the Jew Leon Trotsky B(a)ronstein, who had lots of elite connections. Vladimir (Vaso) Ćorović (shown in part ii) looks like a relative of Jew Al Capone (fake mafia boss and CIA agent), they are all TPTB that planned this to make huge profit, ye they are all CIA agents, trained and planted all over the world to control economy etc. Do you agree or do you think i’m wrong?